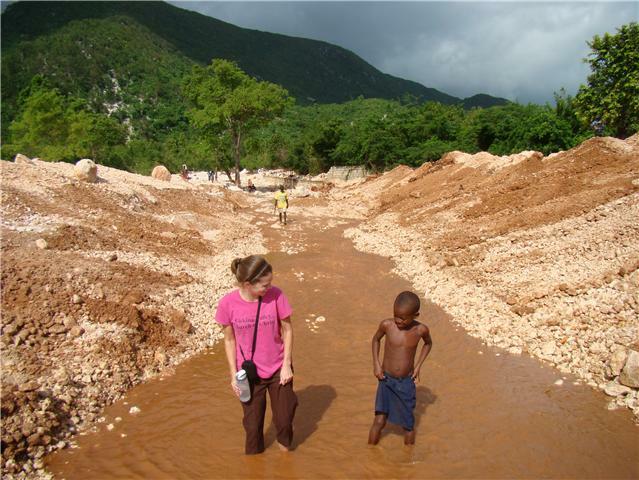 Ginny in Haiti: To Facebook or not to Facebook? So like most people, I love Facebook. I mean I love it. I love keeping in touch with friends from high school and college. I love to see the pictures of their kids, see what the ended up doing for a living and seeing what high school and college sweethearts stayed together and got married. I also have several friends who post the funniest things and others who post very thoughtful quotes. Bottom line...Facebook make me feel like I am still in the loop. Facebook reminds me I am an American. Reminds me of the friends and family have I back home. Reminds me of Birthdays! What did missionaries do before the internet? At the same time...I hate Facebook. At the click of a mouse I can see everything that is going on back home. Everything. Everything that is going on without me. Right now the hardest pictures to look at are of family vacations. I would love, love, love to go on a family vacation with my parents and brother and Odessa. I see the family pool pictures and playgrounds and King's Island and ice cream and kid's outdoor birthday parties and Vacation Bible school and Church camp. And then I look at Odessa. We have no yard. Literally none. Not even a cement one. The street in front of our house is covered in earthquake rubble piled higher than my head. We take walks most evenings down the road in front of our house that passes a tent city full of homeless since the earthquake. Odessa straddles the path of waste water going down the middle of the road. That is her game. To not step in the whatever the heck is in the liquid. And thankfully, she is good at her created game. When we get home the first thing I want to do is check Facebook. Every evening. A very energetic 2 yr old who I would walk through fire for. A boyfriend who would walk through fire and back for me. An appreciation for a culture totally different than my own. Appreciation for running water in my bathroom. Being given to chance to know who my real friends are. Learning the difference, the hard way, between a want and a need. Setting my sights on the next life, not this one. So in the "sarcastic Ginny" summary-My boyfriend, who doesn't speak English, helps me a ton with my 2 yr old who is literally bouncing off the walls. I barely speak English...ever. My wonderful dad got running water into my bathroom here in the shoebox I live in-there is a sink in the kitchen but ironically it does not have running water or plumbing...so...we take water from the bathroom sink to wash dishes and then the water literally falls out of the bottom of the sink into a 5 gallon bucket that we then empty into the toilet every night. A few people who I called my close friends in the states have made very little, effort to keep in touch, while other not so close friends, have been sweeter and more encouraging than I ever would have guessed. I do not need the internet-although I nearly went insane without it for a few weeks. Literally. But He gave me a daughter with a very good imagination, the best boyfriend who is here for me night and day, a job that provides me with a house, running water in my bathroom, a kitchen to cook in, encouragers who haven't forgotten, and the internet to blog about it all on. He is preparing a real home for us. All who accept. That is the most important lesson I have learned in Haiti. I can't wait to see it! Really see it. Can you imagine what it is going to be like? No family vacation pics ever posted on Facebook will compare! Ginny, I think your thoughts about Facebook ring true no matter where you are (although without a doubt they are more pronounced in Port-au-Prince). I think one downside to social media is that we are always looking at what others are doing instead of just living in the moment of what we are experiencing ourselves. I think it's all about balance and motivation (at least for me it is). Like tons of other things in my life, I can use it for good (encouragement, friendship building, sharing thoughts that are helpful to someone)or I can use it to feel bad about what I don't get to do or am not a part of. All of that to say thank you for reminding me that I should be thankful for the opportunities around me. Aww, thank you for sharing...I enjoy reading about your life. I enjoy seeing your pictures. God bless you Ginny.